Beer goes with everything. Ramen. BBQ. Cheese. German. Pie. 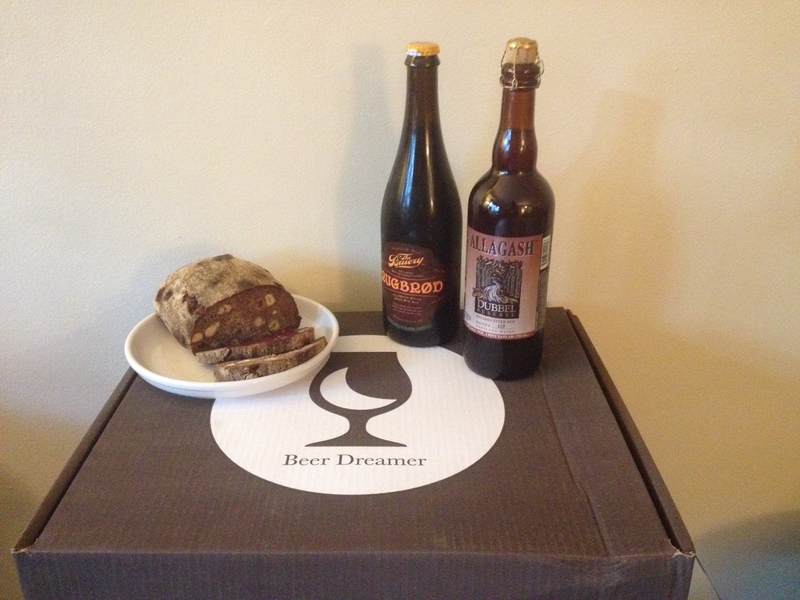 Chocolate… With this in mind, Jordan Elpern-Waxman started Beer Dreamer, a company that mails subscribers the best beer and food pairings available. Think of it as a beer club, with specially chosen gourmet food added. The boxes are beautifully and carefully packaged and padded. Nothing broke… it looked like nothing even moved. The pairings are selected by an impressive tasting panel. This month’s selection included The Bruery Rugbrod and Allagash Dubbel, along with Black Rooster Baltic Rye Bread (made right here in Brooklyn), and Felix Lingonberries Jam (from Sweden). The rye was thick and dark, with a bit of sweetness from apricots, plums, raisins, and honey. Lingonberries, a Scandinavian staple, are tart and juicy, reminiscent of cranberries. Both beers went well with some rye toast with jam. 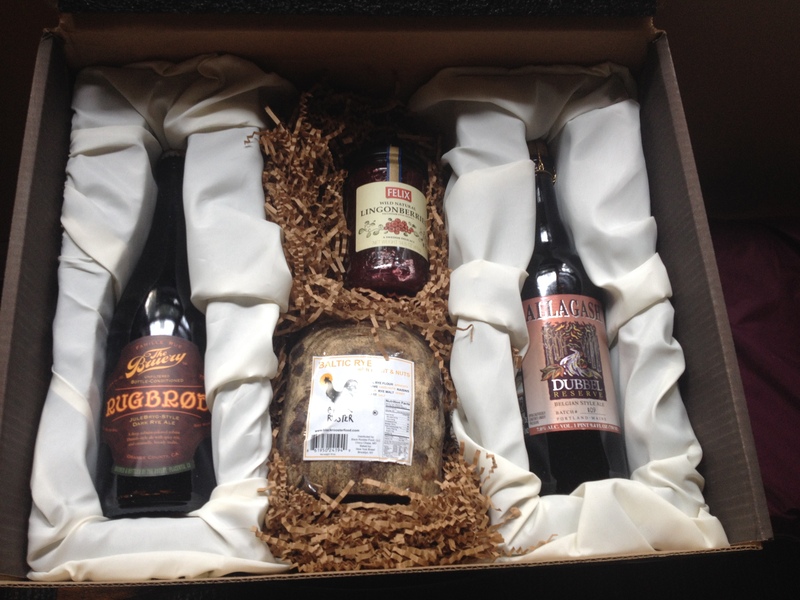 The Rugbrod, itself a rye beer, played to both foods with its tastes of caramel, fruits, and malt. The Dubbel is a bit more nutty (there are hazelnuts in the Baltic Rye bread), and has a distinct raisin taste (there are also raisins in the rye bread!). As you can tell, the pairings make perfect sense. Dark fruits, sweetness and nutty tastes in the beer to compliment the dark fruits, sweetness and nuts in the bread and jam. Coming up, an exciting pairing of Stillwater Gose-Gone-Wild, and Westbrook Back Door, paired with Liddabit Sweets sea salt caramels and Biscotti Di Vecchio toasted almond biscotti. This pairings were designed by Brooklyn Brewery Chef Andrew Gerson together with input from Brian Strumke and Ed Westbrook. Boxes are $75. 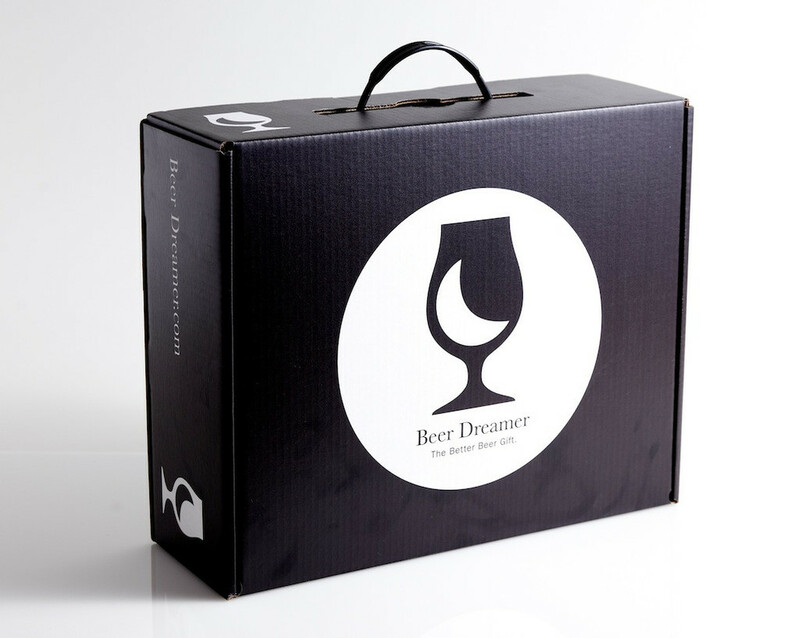 If you can afford the luxury of having gourmet food and excellent beer delivered to your door, let Beer Dreamer help you eat and drink well!